Performance Length: 2 x 1-hour sets of live music in a 3-hour period. Sussex-based Band Of Wolves perform the very best in classic blues from turn-of-the-century America. This talented group of musicians readily conjures up vivid imagery of all the visceral excitement and danger, the economic struggle and the social frustration of early 20th-century USA. Bandleader Dave Murrell, an exceptional blues guitarist, has a wealth of musical experience to call on, and has performed with the likes of B.B. King and Long John Baldry during a colourful and eventful career. 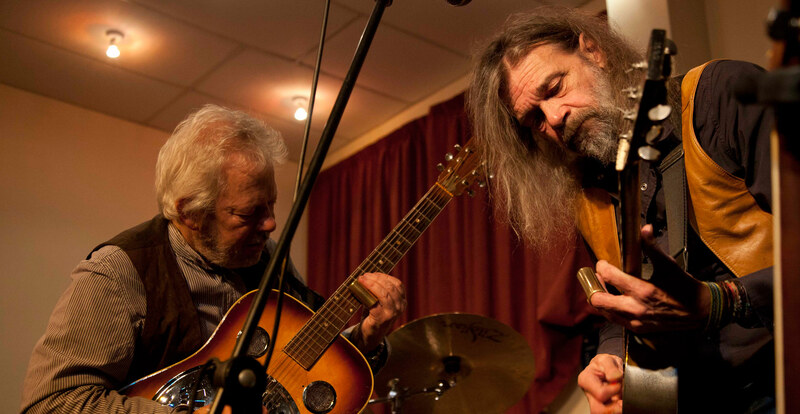 He has the good fortune to be backed by one of the UK’s finest blues rhythm sections, immediately transporting you and your guests back in space and time to the repressed rural and Delta blues of America’s Deep South. Performances and playlists can readily be tailored to suit the requirements of your event – pick and choose from an extensive selection of songs and instrumental items, liberally punctuated with various classic all-time blues hits such as ‘House Of The Risin’ Sun’ and ‘Who Do You Love’. Band Of Wolves are fully-equipped with a top-quality PA system, adaptable to venues of all sizes, to balance, amplify and enhance their music. The Blues have come to represent the birthpangs of an emerging society, warts an’ all. Band Of Wolves’ stylish and atmospheric performances bring this socially unstable period in recent US history back to life through song – it’s the perfect accompaniment to an American-themed event. We hired Band of Wolves for our American-themed Christmas party and they absolutely blew us away. They played everyone’s favourites, and even took some song requests from hopeful guests! Thank you! Hi Dave and the guys from Band of Wolves, What a stonking evening on Friday!! Everyone loved it. You even managed to get people dancing, not easy. Just wanted to say a big thank you, it was a special evening. Hope you will want to come back next year. Very best wishes and please pass on our thanks to all at Band of Wolves. With my (new) husband being a huge fan of blues music, we knew we had to hire a band with an American feel for our wedding and Band of Wolves didn’t disappoint. Dave was helpful from the first point of contact to saying goodbye, and lent a laid-back, cool vibe to the whole thing, it was perfect! Just a quick note to say how grateful we are to you all for playing our wedding. You really made it special and everyone said how great you were and lots asked for your details in future.